PR for ActiveBunch.com Hi, I have created a PR for your newly launched website. 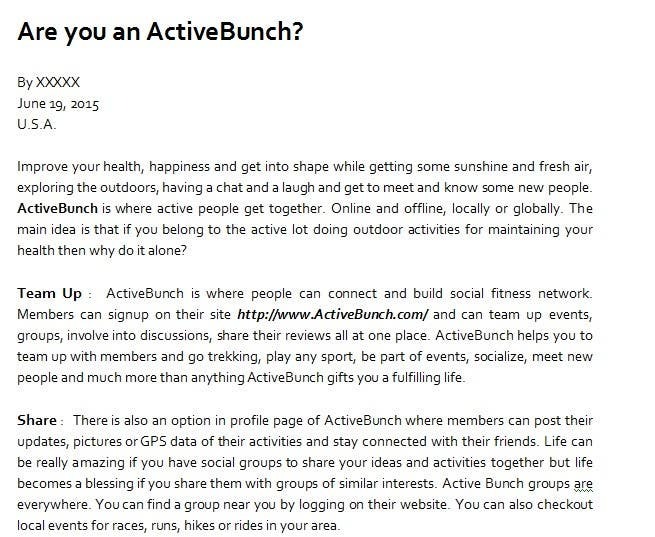 ActiveBunch truely is a great place and I have enrolled on it. In the PR I have mentioned all the 3 aspects which u wanted 1) Teamup 2) Share posts. 3) Reviews and discussions. Hope you like my work. Regards, Swati.